The Royal Aircraft Factory R.E.7 was a British biplane designed as a reconnaissance aircraft and light bomber for high altitudes. 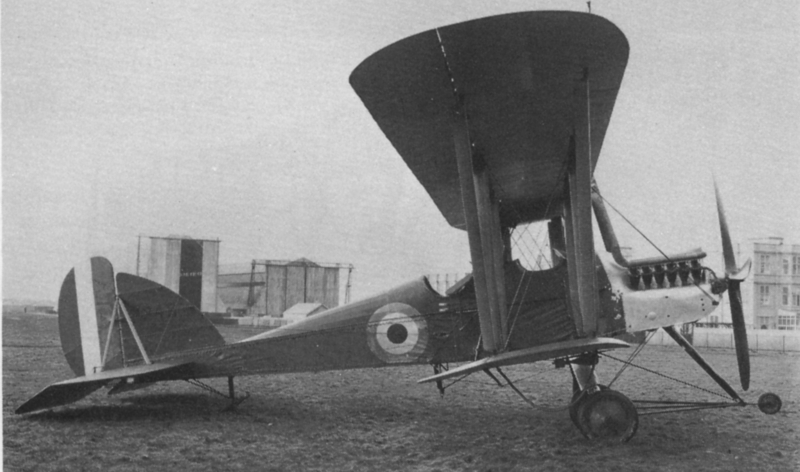 Some of the Royal Aircraft Factory R.E.5 aircraft were modified for test purposes to reach a high altitude. On May 14, 1914, a new altitude record of just 5.761 meters was achieved with one of the test aircraft. For the development the R.E.5 with the production number 22 was taken. Since it was already known that a larger upper wing led to a higher altitude, this was enlarged again in the prototype and semi-circular wing tips and streamlined struts were installed. In addition, a suspension for an additional tank was attached, which should serve as a bomb. 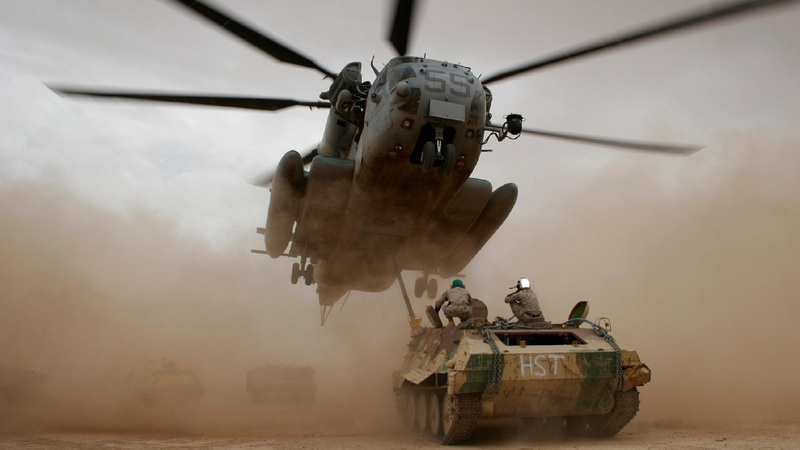 By the weight of 152 kilograms, only a machine gun for the observer could be attached, the pilot remained unarmed. The aircraft was powered by a 120 hp Beardmore engine. In October 1915, the first order was placed for 82 aircraft under license from Napier, Austin and Coventry Ordnance Works. Through further orders, the total number of aircraft increased to the end of production to 233 pieces. On September 28, 1915, the first aircraft was brought to France and assigned to the 12th Squadron, by the end of the year, the number increased to seven aircraft. Due to the 120 hp Beardmore engine, the aircraft were underpowered and could not provide the services hoped for. In March 1916, General Trenchard approached the UK Ministry of Defense asking when would replacement aircraft for the Royal Aircraft Factory R.E.7 be built and delivered. Although there was already an alternative with the 140 hp RAF 4a engine, tests in April 1916 in France showed that the additional 20 hp more hardly showed any increase in performance. In addition, the engines at the beginning of the delivery were not mature enough and very susceptible to interference. On June 20, 1916, the leadership of the Royal Flying Corps issued the order that no more RAF 4a engines should be brought to France for exchange. In the coming months, the remaining R.E.7 aircraft were replaced by the newer B.E.12 aircraft. Plans for replacement of the 200 hp RAF 3a engines were rejected. After being withdrawn from the front, the 12th Squadron used the aircraft as escorts for other reconnaissance aircraft or as a bomber. Since it was technically not yet possible to locate enemy aircraft at this time, the R.E.7 aircraft proved to be solid bombers behind the enemy line, as they were hardly attacked by German fighter jets and flew too high for air defense cannons. In addition, her 152 kg bomb had a very large impact force when it was dropped on enemy positions. In mid-1916, some of the aircraft were equipped with three seats. In addition to the pilot and the observer should fly a shooter and operate an additional machine gun. Also, a Rolls-Royce Eagle III engine was installed for experimental purposes, which had a much higher performance than the installed Beardmore engines, but since these engines were available only in very limited quantities, the proposal for further modifications was rejected. At the beginning of 1917, the last R.E.7 aircraft were withdrawn from the front and used for the most part for training purposes.